Kids under 1 are free with an older sibling’s paid admission. Otherwise they’re $5.00 anytime. Children must be accompanied by an adult over 18/No adult is admitted without a child. 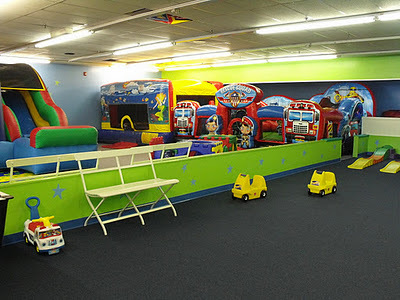 Kidz Wurld is one giant open space separated by a half wall. 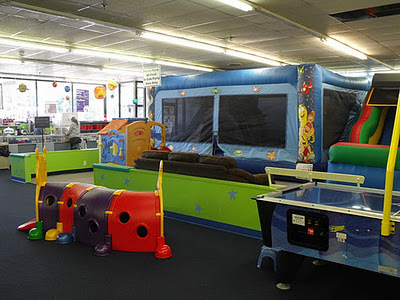 One section is for kids under 3, and they have lots of activity tables, bouncy seats, Bumbos, slides, a play kitchen, and some push toys. The fact that it was all open worked out great for us. This way we were able to stay with the babies, but Grace was able to go off and play where we could still see her. 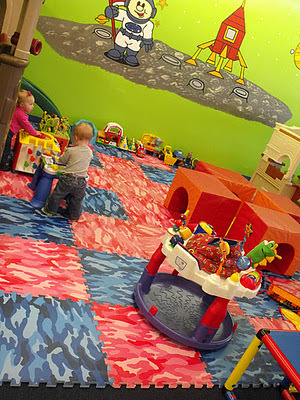 The under 3 section has lots of cushion mats on the floor which worked out great for our clumsy babies. The other section is full of giant inflatables! The also have a nice big comfy couch that would be great if you are a nursing Mom! 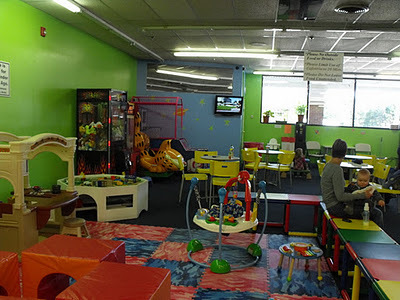 Next to the under 3 section there is a little cafe area where you can eat and watch some TV. 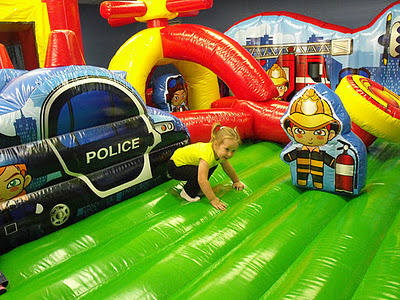 Grace was a huge fan of the large inflatable obstacle course! 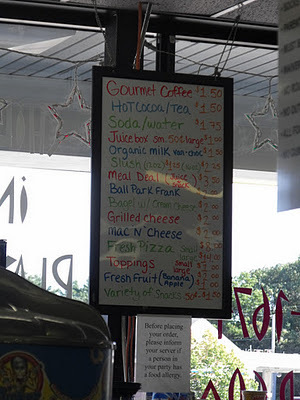 They also sell lots of reasonably priced food and drinks. 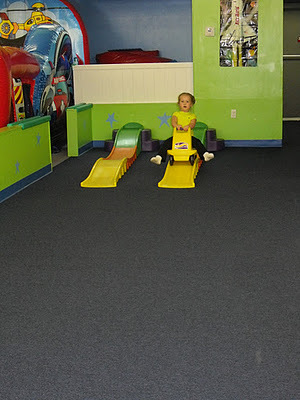 Another huge hit was these little roller coasters! We just love Kidz Wurld and the staff there is so nice and helpful. I’m sure we will be spending lots of cold days running our energy out there! Looks like a fun place. Thx for sharing about it. We used to like Imagination Island in Plymouth and Boomerangs in Carver (now closed). We also have enjoyed the jumpy place at the Independence Mall. Libraries, museums and whatnot are great, too. Great post. Keep writing such kind of information on your page. I’m really impressed by it. Hey there, You have performed an excellent job. I will definitely dig it and individually suggest to my friends. I am confident they will be benefited from this website.